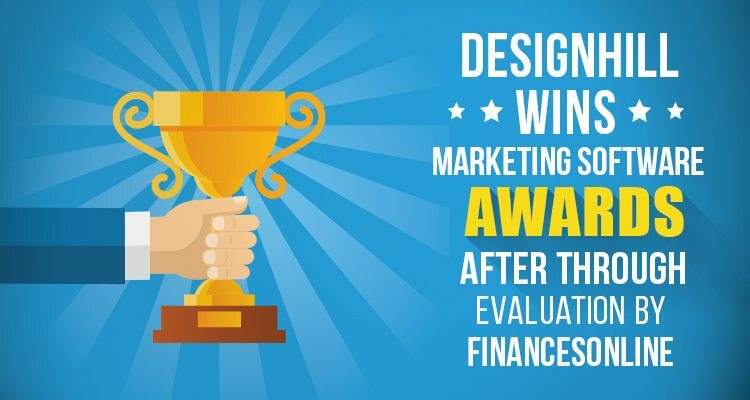 We have some great news for our current and prospective users: Designhill has just won two quality awards from FinancesOnline! The reputed software review platform dismissed what was left from the ‘just another graphic design tool’ myth, and shared with its readers their positive view on the different route Designhill has undertaken to make design profitable. They compared our product to a number of top notch apps and distinguished it as a solution that can indeed showcase work in a revenue-generating fashion. The platform’s experts helped readers familiarize with our product by preparing a detailed Designhill review, and shared what they believe to be the most distinctive benefits from using it. An even more pleasant surprise was to discover that we’ve been awarded, both for delivering a streamlined and simple interface with Great User Experience Award for 2017 and for bringing customers on board much faster than expected from a novice graphic tool with their Rising Star Award for the top marketing software category. Apparently, experts were more than fond of our standalone marketplace concept, and agreed that it actually helps refer talented designers cater to customers with clearly specified expectations. The review team stated that unlike standard freelance platforms, Designhill lets designers showcase massive portfolios of quality work, and do so on an affordable rate. While evaluating our product, experts also appreciated Designhill deviating from traditional crowdsourcing, and allowing artists to create their masterpieces rather than simply exposing those to customers’ attention. The team was also impressed with access to trade show banner and booth design, which is rarely the case with standardized design tools. For a relatively young team, being appreciated by professionals with such expertise is a huge step towards accomplishing their mission. We couldn’t be happier to fall within the scope of FinancesOnline’s recommended performers, and we promise to work even more devotedly to make our customers happy in the future!